Aon’s latest catastrophe report found that last month’s series of storms and severe cold temperatures have cost the US about a billion dollars. The global professional services company’s Global Catastrophe Recap report for January 2019 revealed that for the month of January, there were a total of 45 deaths caused by winter storms. Five severe winter events contributed to the total estimated one billion dollar economic loss for the period, Aon noted. Of the five events, the so-called “Polar Vortex” that affected much of the Eastern US from Jan. 29-31 was the most destructive, killing at least 22 people and racking up an estimated total economic and insured loss within the hundreds of millions. 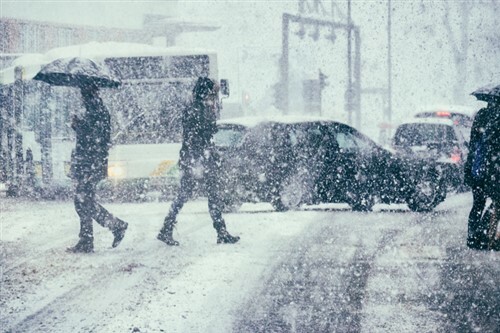 “While there was much focus on multiple winter storms and extreme cold via the Polar Vortex in the United States, it allowed an opportunity to remind that weather is local,” commented Aon Impact Forecasting catastrophe analyst Michal Lörinc. Lörinc cited Australia as a polarising example; the country saw record-breaking heat last month, with temperatures so hot that January 2019 was declared the hottest month on record. “Shifts in the behaviour of the jet stream and other synoptic features can lead to more unusual and extreme weather phenomena,” he explained. Elsewhere, in Argentina, Uruguay, Paraguay, and Brazil, excessive rainfall caused considerable damage to the agricultural sector of the South American countries. Their property and infrastructure also took a hit due to the flooding. Conditions were so severe, that the Confederation of Rural Associations of Argentina pegged the agricultural damage caused by flooding in their region at around $2.3 billion.